Hi, my darlings! Tonight I have a review of a brand that I've been DYING to try--Joss FX created by the Australian salon supplier BeautyWorld. So you can imagine my glee when four gorgeous Joss polishes arrived on my doorstep, tucked away into a review package from Sisi of Color4Nails! Tonight, I'll show you 3 of the 4 and save one of them for a special, fun post on Monday! Ready to see these beauties? 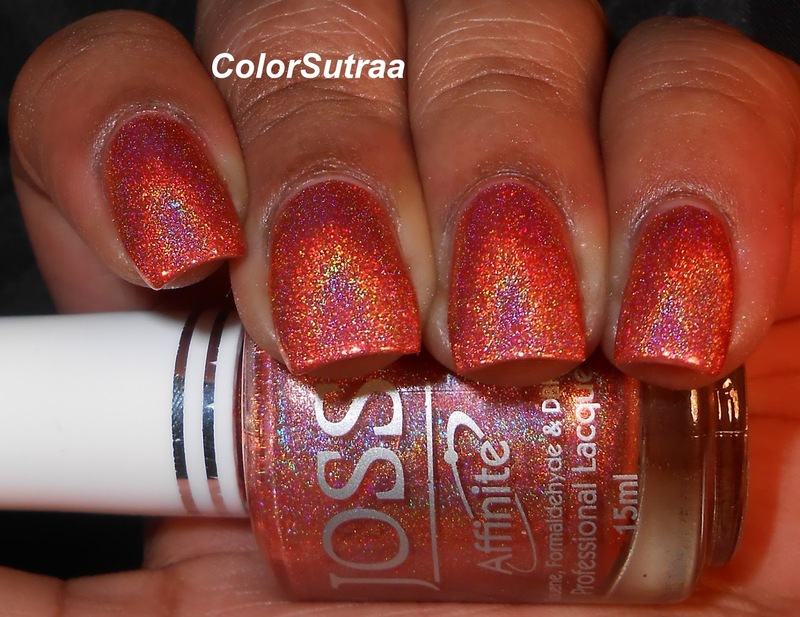 First up, I have for you Alternate Dimension--a warm orange polish with a strong linear holographic finish. 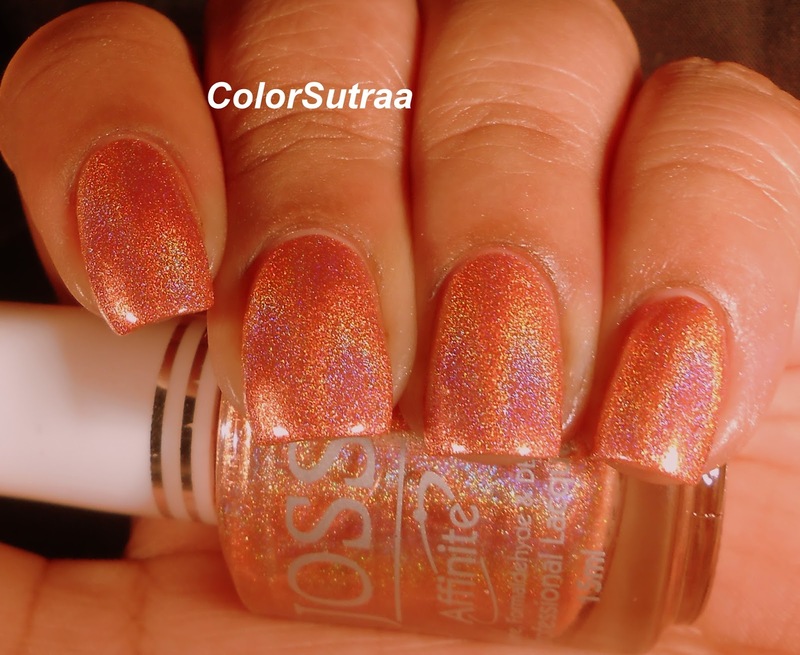 Both the application and formula of this polish was great--no issues to report at all. The swatches below show 2 generous coats by itself. I NEVER used to wear oranges but lately I've been hankering to experiment with a good orange holo and I think I hit the jackpot with this one! Next, I have for you my personal favorite of the three, Caribbean Holiday--a stunning aqua polish with a strong linear holographic finish. Again, no issues with formula or application and the swatches below show 2 generous coats by itself. I'm absolutely obsessed with this color! Last but definitely not the least, I have for you Tantastic Glow--a tan metallic foil polish with a strong linear holographic finish. 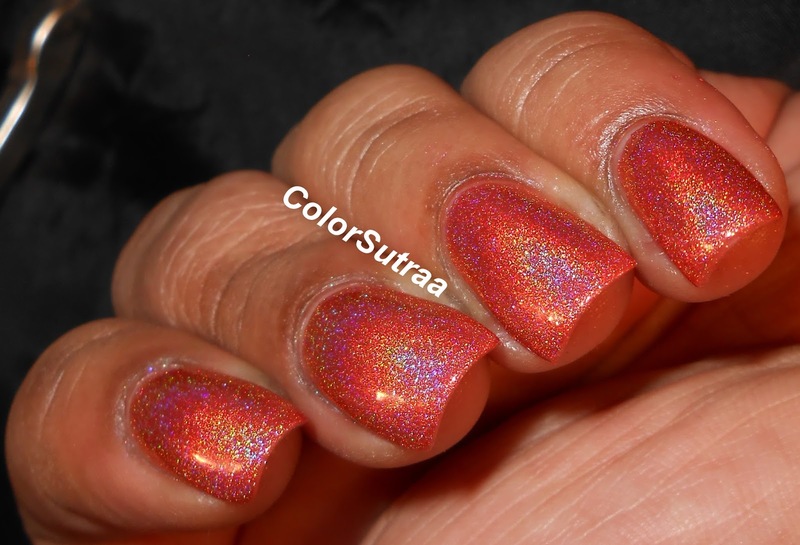 The application and formula of this polish was just okay--the foil finish makes this polish a little thicker and harder to work with than the other two. The swatches below show 2 generous coats by itself. Although this wasn't my favorite, I do appreciate the fact that it doesn't wash out my complexion like so many nudes/neutrals do! So there you have it, my darlings! 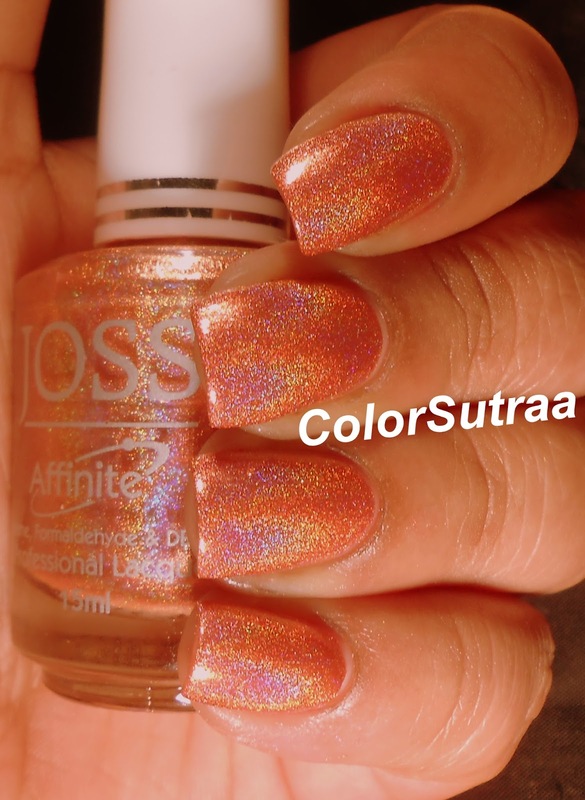 Three lovely holos from Australian brand, Joss FX--these are in stock RIGHT NOW at Color4Nails HERE for the price of $9.00 for a full-size, 15 mL bottle. Please follow Color4Nails on FACEBOOK and on INSTAGRAM for all the latest updates! I'm really loving Caribbean Holiday. It's a beautiful shade of teal. I might have to purchase a bottle, because I'm curious as to how well it would stamp! All are gorgeous but am really drawn to alternate dimensions!!!! Just WOW!! !